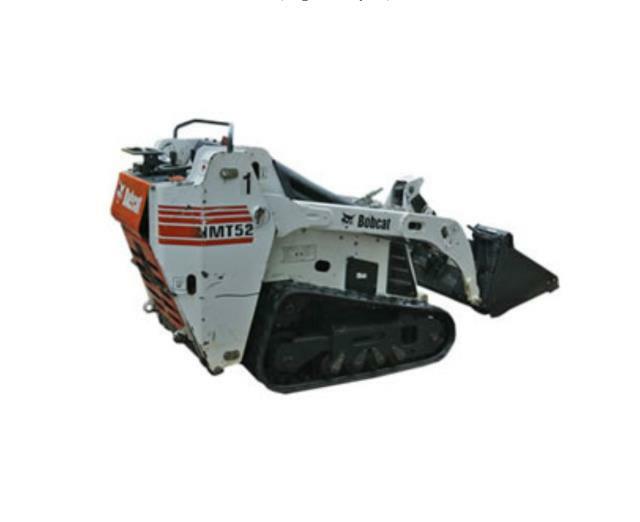 No need for wheelbarrows, shovels or other hand tools when you roll onto tight jobsites with this impressive machine. Just 3 feet wide with a bucket, the MT52 goes through gates, doorways or other narrow spaces with ease. It works and maneuvers in cramped spaces just as easily. Use it to sweep warehouse floors, prepare lawns for seeding, bore under driveways for utility lines and much more. * Please call us for any questions on our bobcat mini track loader rentals in Whistler BC, serving Squamish, Pemberton and the Sea-to-Sky Corridor.